On the way to Örebro University’s academic celebration, I’m sitting on the train trying to sum up the past week, looking back on all the meetings and inspiring conversations that have taken place over the last few days. Department visits are a treat for us and I would like to make them more often. On Monday the Vice-Chancellor, Deputy Vice-Chancellor and University Director visited the Department of Ecology and Genetics. 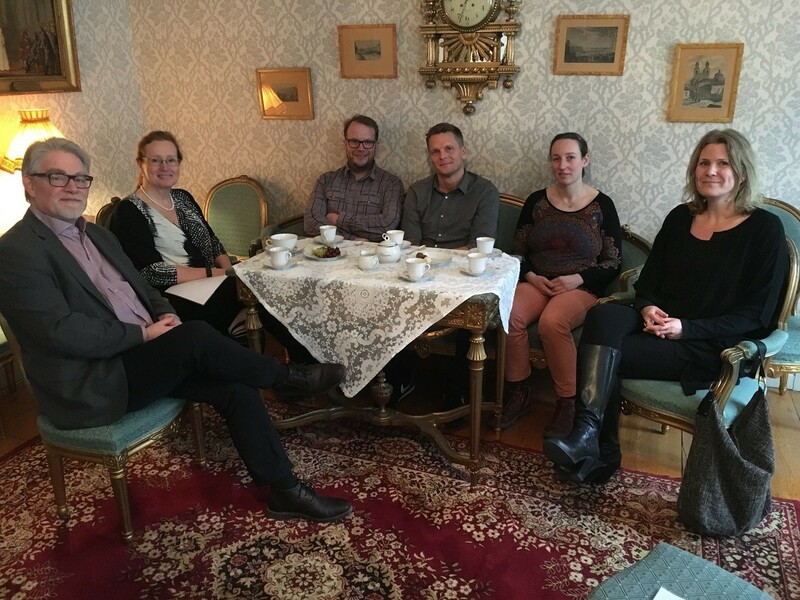 Our thanks to Lars Tranvik and his colleagues for interesting presentations on their ongoing activities, research, education and collaboration projects. We have many international contacts and relationships. The President of the University of Tsukuba, Japan, visited us with his delegation at the beginning of the week – they are making a tour of several European universities, aiming to establish strategic partnerships. On Tuesday, Taipei Mission visited us to discuss a trip to Taiwan later this year. On Wednesday EIT Health Matchmaking Event began. 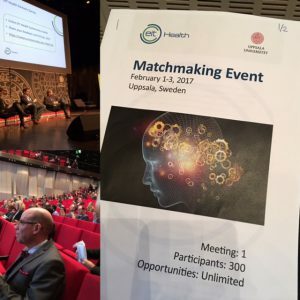 It continued for the rest of the week and involved 300 participants from our KIC partners in Europe. 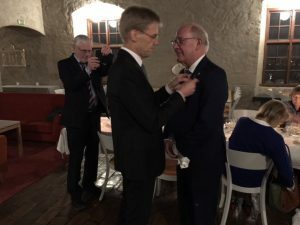 On Thursday the Ambassador of Poland vistied Uppsala, and that evening we had a dinner at the Royal Swedish Academy of Engineering Sciences with the Ambassador of China to discuss the Nanjing project that the Faculty of Medicine is involved in. This week I had lunch with our Matariki Fellows, who either have been or will be going to one of our partner universities. Matariki, as I hope you know, is a network of seven universities in different parts of the world, brought together under the motto “Partnering for a better world”, which fits well with Uppsala University’s aspiration to contribute to a better world. It was interesting to hear about the cooperation and research projects that are being realised in the network. But what will stick in my mind most clearly is “Shut up and Write!” I have asked our in-house magazine Universen to find out more about this and write about different initiatives and tricks for regaining control over time and blocking time to think. My predecessor Bo Sundquist organised a fundraising conference. 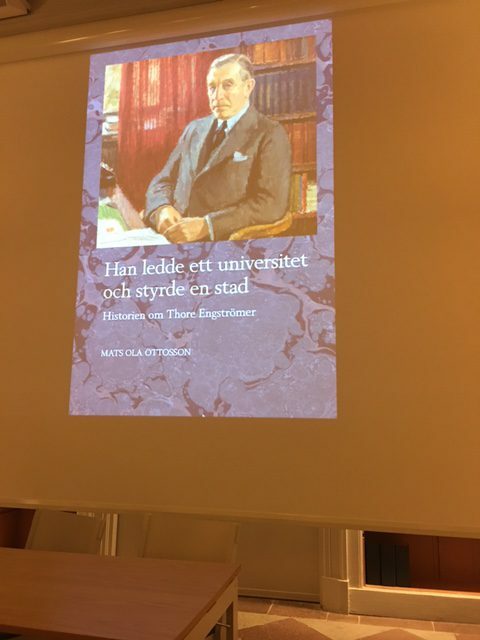 We listened to Bob Burgett from the University of Minnesota and then University Director Katarina Bjelke talked about how we at Uppsala University plan to raise our level of ambition in this area, including alumni activities. It was an informative and inspiring afternoon for us all. Thank you, Bo and Bob! Two other events this week: Rikssalstiftelsen (the Foundation for the Preservation of the Hall of State at Uppsala Castle) presented former County Governor Peter Egardt with a medal in recognition of his great commitment as Chair of the foundation’s governing board. Mats Ola Ottosson presented his new book on Thore Engströmer, entitled Han ledde ett universitet och styrde en stad (He led a university and governed a city). At the Management Council meeting, we discussed the annual report, a summary of the overnight conference and our views on collaboration. The next Management Council meeting will be held at Campus Gotland, where we will take the opportunity to meet local politicians to talk about developments since the merger in 2013 and the challenges ahead. 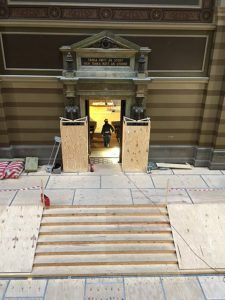 On Tuesday we also found time to look round the University Main Building, which is being renovated. 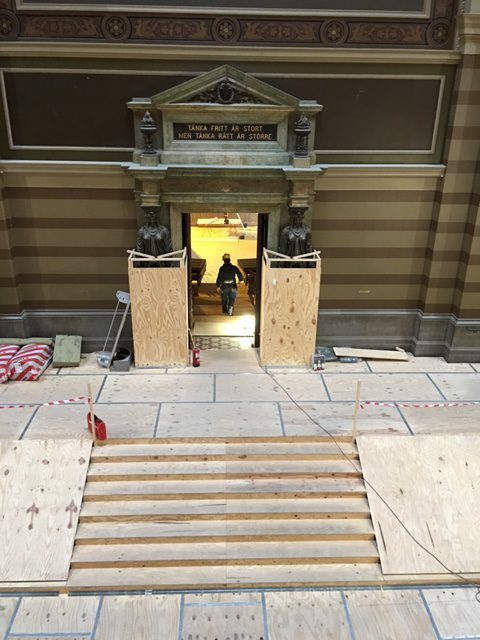 If all goes according to plan, the Spring Conferment Ceremony will be held there and the whole building will reopen in time for the autumn semester. As you see, a lot happens in a week, yet this is only a sample. Meanwhile, we are closely following events in the world around us.